Cable Inspection – Hartline Supply Inc.
At Hartline Supply, we do a complete examination of your cable. 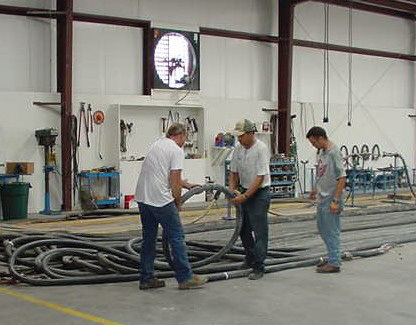 After the cable is put in our shop floor, we roll the cable out to examine it for external damages. Then we hypot proof test your cable and troubleshoot for any internal damages. Once all internal and external damages have been pinpointed, we do the required repair for each type of damage.